Create a relaxing vacation getaway with the GR730B bench spa. 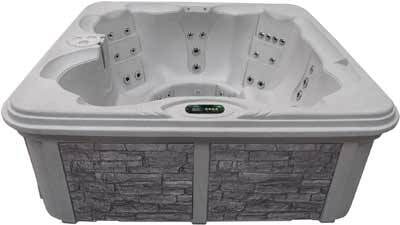 With contoured bench seating for up to 6 adults, your whole family can enjoy day spa quality massages without leaving the house! With a breathtaking waterfalls and rock accent panels, this rotomold bench spa will turn any backyard into a relaxing tropical retreat. 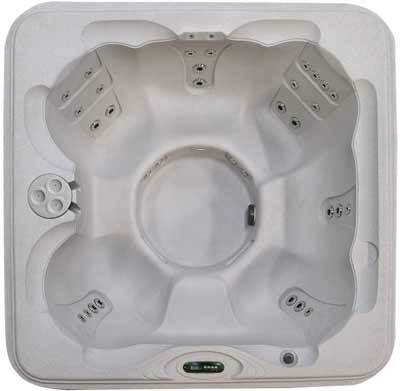 Escape to the world of ultimate relaxation with the GR730B bench spa today! Dimensions:84.5" x 84.5" x 32.5"